If finding information on unreleased devices and gadgets is an art, @evleaks is most certainly a genius. The latest leak of Samsung’s information is more like a running spigot. We now have images and rumored specs for four different tablet models that are expected to launch in the coming months. First up we have the Samsung Galaxy TabPRO 8.4, which is pictured above. There was not a 7″ model listed in this leak, so it seems that 8.4″ might be the smallest tablet we get these days unless you want a Note 3. The 8.4″ variant is listed as having a Snapdragon 800 2.3GHz processor with a 2,500×1,600 screen. An 8MP camera on the rear and a 2MP camera on the front are added in with a 4,800mAh battery and 2GB of RAM. Next up is the Galaxy TabPRO 10.1. 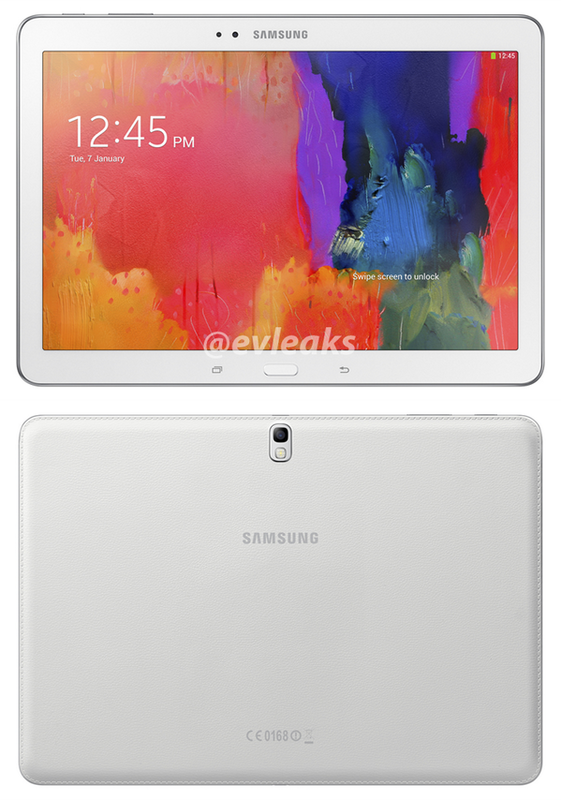 This size is nothing new, but it is no longer the biggest tablet that Samsung offers. This model comes in a WiFi (with a Exynos 5 Octa) and a 3G/LTE (with a Snapdragon 800) variant. Another 2,500×1,600 screen is spread across 2GB of RAM and a 8,220mAh battery. Specs are similar to that of the 8.4″, but on a larger scale. Last, but certainly not least is the 12.2″ monster that we have been seeing bits and pieces of here and there over the past few weeks. 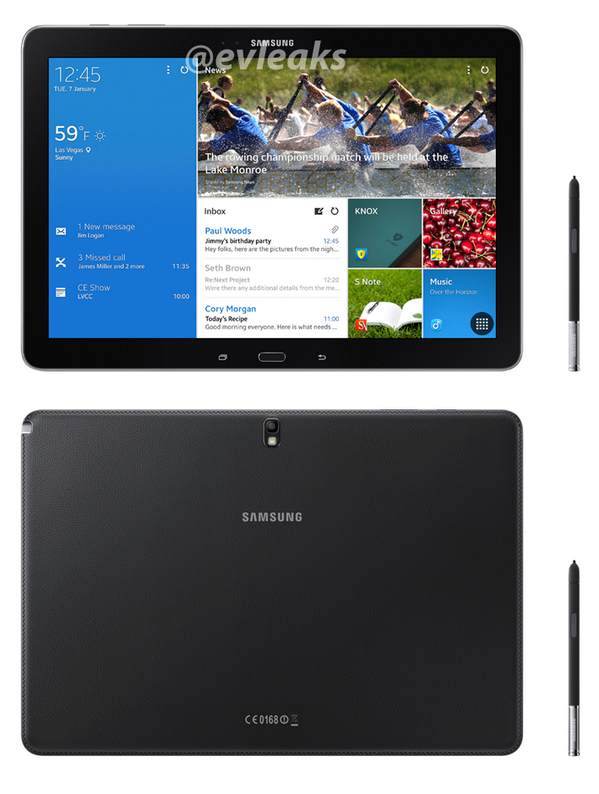 The 12.2″ model will come in a Galaxy TabPRO model and a Galaxy NotePro model. The S-Pen will only come with the NotePro model, but each of these two will be WiFi or 3G/LTE enabled. As with the Tab 10.1, if you get the WiFi model you get the Exynos Octa 5 and the 3G/LTE version will come with the Snapdragon 800. These will have the same 2,500×1,600 resolution screens, but have been bumped up to 3GB of RAM and a 9,500mAh battery. Did you get all of that? It is a lot of information to take in. What is also interesting is that these devices no longer seem to have a capacitive menu button. It looks like it has been replaced with a capacitive multitasking button instead. All four of these devices are rumored to be running Kit Kat when they release. @evleaks has been very reliable in the past, but these are still rumored specs of leaked devices. Do any of them catch your eye?